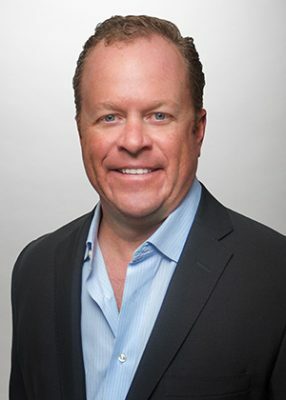 Chad Moss, executive vice president of Moss & Associates, announced a $10 million gift through Moss Foundation, Inc. to FIU’s College of Engineering & Computing — the largest donation by an alumnus to date. In recognition of his gift, announced at Saturday’s Torch Awards Gala, FIU’s College of Engineering & Computing will name the school as the Moss School of Construction, Infrastructure and Sustainability. With more than half of the world’s population living in urban environments, the school’s naming coincides with the academic reorganization of the school, reflecting a broader view of the industry and new approaches and methods for building sustainable urban infrastructure. At the Torch Awards, FIU honored Moss, whose company is an industry leader across all areas of construction management, as Alumnus of the Year. “We are inspired by how Mr. Moss’ dedication and talent elevate our university’s mission of service. We know that FIU alumni will continue to follow in Chad’s footsteps,” said George Corton, FIU’s associate vice president of development. Earnings from the Moss Endowed Chair in Construction Management will be used to recruit a nationally distinguished director for the Moss School of Construction, Infrastructure and Sustainability. The Moss Foundation Scholarship Endowment will provide scholarships to FIU students, particularly those who are first-generation students, veterans, and/or disadvantaged youth. The Moss School of Construction, Infrastructure and Sustainability Endowment will support four key areas: faculty and/or post-graduate research initiatives; student academic and industry endeavors; technology resources; and continuing professional education and industry programs, exhibitions, lectures, charrettes and master classes, as well as creative and research activities. “Mr. Moss’ generosity will impact several generations of students and allow us to transform the School of Construction into an institution that addresses the Grand Challenge to ‘Restore and Improve Urban Infrastructure’ put forth by the National Academy of Engineering,” said Ranu Jung, College of Engineering & Computing interim dean. Thank you Mr. Moss for setting a wonderful example! That was awesome Mr. Moss!!! I am hoping to beat that record as my corporation progresses to greener pastures! More entrepreneurs should be like Mr. Moss. What goes around comes around. Thanks Mr. Moss! what an incredible donation! congrats to FIU ! Chad Moss runs a great company and so happy he is successful and generous with his alma mater.